NanoString Technologies Inc (NSTG): Are Hedge Funds Right About This Stock? It is already common knowledge that individual investors do not usually have the necessary resources and abilities to properly research an investment opportunity. As a result, most investors pick their illusory “winners” by making a superficial analysis and research that leads to poor performance on aggregate. The Standard and Poor’s 500 Index returned 7.6% over the 12-month period ending November 21, while more than 51% of the constituents of the index underperformed the benchmark. Hence, a random stock picking process will most likely lead to disappointment. At the same time, the 30 most favored mid-cap stocks by the best performing hedge funds monitored by Insider Monkey generated a return of 18% over the same time span. Of course, hedge funds do make wrong bets on some occasions and these get disproportionately publicized on financial media, but piggybacking their moves can beat the broader market on average. That’s why we are going to go over recent hedge fund activity in NanoString Technologies Inc (NASDAQ:NSTG) . NanoString Technologies Inc (NASDAQ:NSTG) was in 21 hedge funds’ portfolios at the end of September. NSTG investors should be aware of an increase in hedge fund sentiment recently. 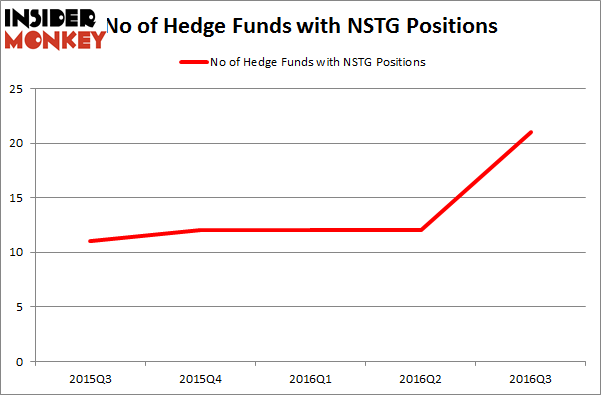 There were 12 hedge funds in our database with NSTG positions at the end of the previous quarter. The level and the change in hedge fund popularity aren’t the only variables you need to analyze to decipher hedge funds’ perspectives. A stock may witness a boost in popularity but it may still be less popular than similarly priced stocks. That’s why at the end of this article we will examine companies such as DICE HOLDINGS, INC. (NYSE:DHX), Teekay Tankers Ltd. (NYSE:TNK), and Forestar Group Inc. (NYSE:FOR) to gather more data points. What have hedge funds been doing with NanoString Technologies Inc (NASDAQ:NSTG)? At the end of the third quarter, a total of 21 of the hedge funds tracked by Insider Monkey held long positions in this stock, a gain of 75% from one quarter earlier. By comparison, 12 hedge funds held shares or bullish call options in NSTG heading into this year. With hedge funds’ capital changing hands, there exists a few noteworthy hedge fund managers who were boosting their holdings significantly (or already accumulated large positions). 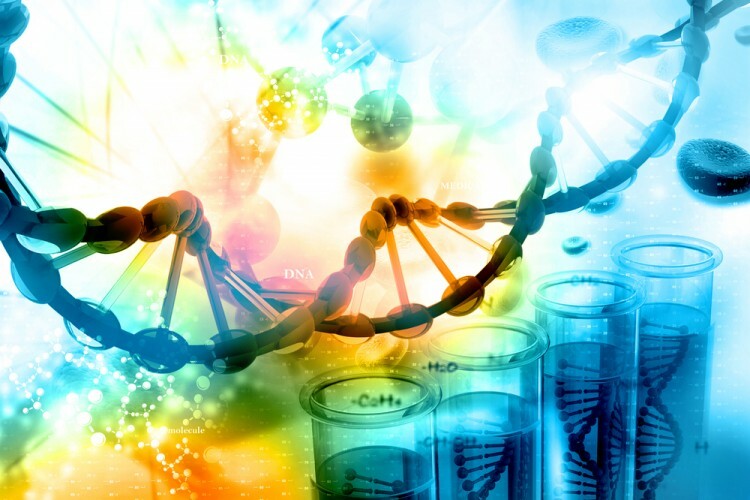 According to publicly available hedge fund and institutional investor holdings data compiled by Insider Monkey, Cadian Capital, led by Eric Bannasch, holds the biggest position in NanoString Technologies Inc (NASDAQ:NSTG). Cadian Capital has a $29.1 million position in the stock, comprising 1.5% of its 13F portfolio. The second largest stake is held by Redmile Group, led by Jeremy Green, which holds a $24.7 million position; 2% of its 13F portfolio is allocated to the company. Some other hedge funds and institutional investors with similar optimism contain Israel Englander’s Millennium Management, Ken Greenberg and David Kim’s Ghost Tree Capital and Richard Driehaus’ Driehaus Capital. We should note that none of these hedge funds are among our list of the 100 best performing hedge funds which is based on the performance of their 13F long positions in non-microcap stocks. Is Nordic American Tanker Ltd (NAT) A Good Stock to Buy? Hedge Funds Are Still Buying Novanta Inc (USA) (NOVT) Hedge Funds Don’t Think Very Highly of Annaly Capital Management, Inc... Is Liberty Sirius XM Group (LSXMK) A Good Stock To Buy? Is Northstar Realty Europe Corp (NRE) Going to Burn These Hedge Funds? Should You Avoid Nationstar Mortgage Holdings Inc (NSM)?